In the online age that we live in, having a professional website is an absolute necessity for nearly all career choices and business ventures. A great website can simultaneously operate as a marketing tool, a store platform, a display of works and skills, a communication channel and as an engine for branding. If you want a website that can multitask all of these duties with force, Wix is just what you need. In this post, we will provide a step-by-step guide to assist you as you create the professional website you deserve using Wix’s website builder. In addition to walking you through the technicalities and details of building your own site, we will also focus on key issues in branding and marketing, to guarantee that your site is effective as well as beautiful. Identify your target market: Who are they? Which demographic groups do they belong to? What do they like to do? How do they see themselves? How will your business or website influence their lives? Research your competitors: Get a grip on what the competition is doing, what their strengths and weaknesses are, and how you can carve a niche for yourself in the field. Define your brand identity: If you had to describe your brand in three words, what would they be? What is the vision that motivates your brand? Think of your brand’s personality and extract from it tangible traits like colors, vocabulary and style. Prepare consistent branding material: Now it’s time to get practical and prepare the materials that will soon be featured on your site and on other platforms too. For instance, a logo, images, slogans, videos, textual content and more. They should all correspond to your brand identity and serve your branding strategy. 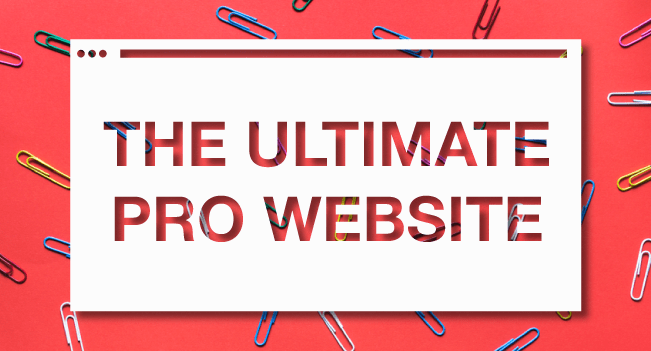 When it comes to the web design itself, you’re in luck. Wix does most of the hard work for you, and all that is left is for you to choose what’s right for your website’s style. Choosing a template: Website templates give you a solid foundation for designing your site. Ideally, the template you choose already has the layout you need and is styled according to your branding strategy. Wix offers a vast selection of gorgeous website templates for multiple themes, styles and purposes. Take a look, take your time and choose the one that best suits your vision. Customizing your template: Once your heart is set on a template, it’s time to turn it into your very own site by customizing and editing: adding your own content (images, texts, links, videos, audio) and refining the design if needed (colors, shapes, page order, font choice and more). Your customizing can be as basic or as elaborate as you want it to be. Take a look at this gallery of Wix websites created from three templates and you will see how Wix users make our templates look like individually-designed sites. Tweaking the look: There is much more to creating a website than just choosing images and colors. You can add a variety of features that will enhance your site design, like parallax scrolling to add dimensionality to your site, background videos that inject dynamic motion, wide strips to accentuate the page layout and so much more. Navigation flow: Make sure the site structure is clear and intuitive so that visitors can easily navigate between pages and subpages using the main menu or internal links. Content hierarchy: A coherent content hierarchy guides the visitors through your site content in the order that best serves your interest. The most crucial aspects should be the most prominent, and the design should clearly reflect that. This landing page site is a pretty good example of content hierarchy done right. Call to Action: CTAs are the messages that invite site visitors to take direct action, like: “Register Free” or “Get Yours Today.” In short, they tell the visitors explicitly what it is that you want them to do. Learn how to create the perfect CTAs before you add them to your site. Readability: What’s the point of having a website if your content is practically unreadable? Make sure you use clear fonts and comfortable font sizes, that your text colors contrast well with the background colors, and that you have enough “white space” around your texts. Footer: The bottom part of your site is known as the “footer” (the top is the “header”). Footers are not immediately visible to site visitors, but they can be used in a number of ways to enhance usability, for example: add all of your content information there, including buttons linking to social media channels; display a simplified site map that links to all pages of the site; write a brief About Us paragraph, or a site disclaimer text. Keyword research: Put yourself in the shoes of your potential site visitor or client. What will they be searching on Google that should lead them to your website? The keywords that they will be using are the ones that will guide your SEO strategy. Make an informed decision on which keywords you should be targeting. Text: Your Bio section, your blog, your footer, your FAQ section – every spot that has text should be conceptualized with SEO in mind. The real trick is to find a subtle and elegant way to integrate your keywords into your site’s textual content without compromising your content’s quality. Search engine crawlers are smart and if they think you sound too much like an ad, they will down-rank you. Meta tags: Meta data is not plainly visible to your site visitors. Search engines, however, do read your meta data, and you can control what it is that they see and how they present your site in search results. Follow this guide to understand how to use meta tags to your advantage. Alt Text: Search engines can’t read images (yet!) but that doesn’t mean that images are useless for SEO. Every image that you upload to your website should have an ‘Alt Text’ added to it. This very short line explains to search engines what the image depicts, which in turn allows your images to be ‘found’ in search results. Here are more alt text guidelines for you to follow. Link Building: Broadly put, your search results ranking improves if you have other websites linking to your site. You can start by submitting your website to directories, making sure that all of your social media profiles point to your site, and encourage site visitors to share your content as well. Keep in mind that SEO is a long-term process that does not end once your website is launched. You will need to continue to refine it as you go along in order to win sustainable results. Wix Booking: The ideal solution for booking appointments online that helps you manage your schedule more efficiently and even charge at the moment of booking. Wix Music: A cutting-edge platform for musicians who want to expand their audience while maintaining total creative freedom. Wix Music allows you to sell your music directly on your website and keep 100% of the profits. Simultaneously, it distributes your sounds to over 120 digital stores. Wix Stores: The most convenient way to create and manage an online store. We designed the Wix Stores platform to guarantee that your products are presented in the most enticing way to your customers and to ensure a smooth purchasing process. You can see the result in these gorgeous online stores, all created on Wix. Essential Apps: The Wix App Market holds a large selection of apps that will help you fulfill your website’s potential to the max. Consider, for instance, Google Maps for directions, advanced forms to maintain contact with visitors, invoicing tool for organized bookkeeping and many, many more. Every website must have a mobile version. That is a fact. Mobile web usage stats indicate that internet users now spend more time surfing the internet on mobile devices than they do on actual computers. Google even announced recently that their algorithm will be prioritizing mobile-friendly websites on search results. The conclusion is clear: there’s no room in the future for websites that do not add a mobile version. 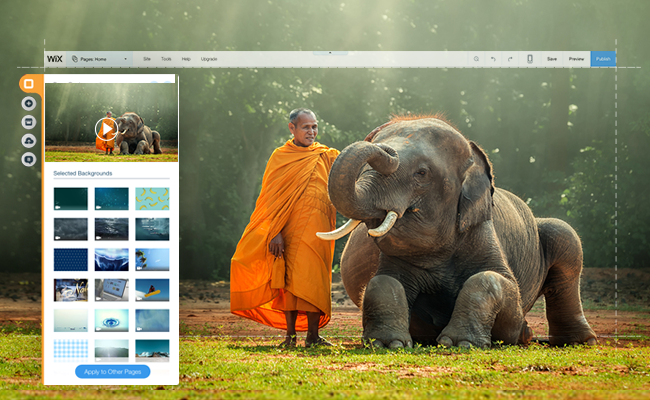 Fortunately for Wix site owners, the Wix mobile editor makes it extremely easy to enable mobile viewing and adjust the layout and design for mobile screen size. When you customize your site for mobile, pay close attention to readability, navigation and image sizing. Once your website goes live you will see that the main challenge shifts to attracting and maintaining visitors. You can prepare for this task by adding features that actively reach out to visitors and keep your online content dynamic. Newsletter: Wix ShoutOut is a terrific newsletter tool that allows you direct contact with your subscribers. For inspiration, here are 15 great ideas for newsletters you can try. Blog: Writing a blog is valuable for several reasons. For one, it lets you communicate your message and ideas in a more personal, eye-to-eye tone. In addition, blogs are very good for improving SEO because they offer textual content that can be optimized with keywords. Adding a blog to your Wix site is just a matter of a few clicks. Not sure how blogging might work for you? Check out these Wix websites that all include high-quality blogs. Social feed: Active on social media? Make sure your site visitors are aware of it and encourage them to connect on other platforms. 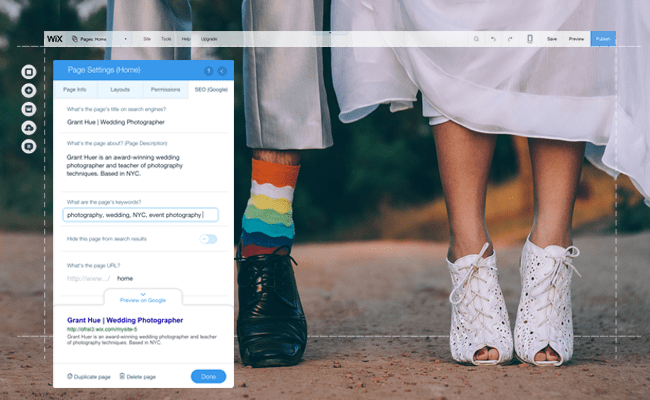 The Wix App Market offers several apps that link your site with your social accounts or even display your social activities directly on your site.